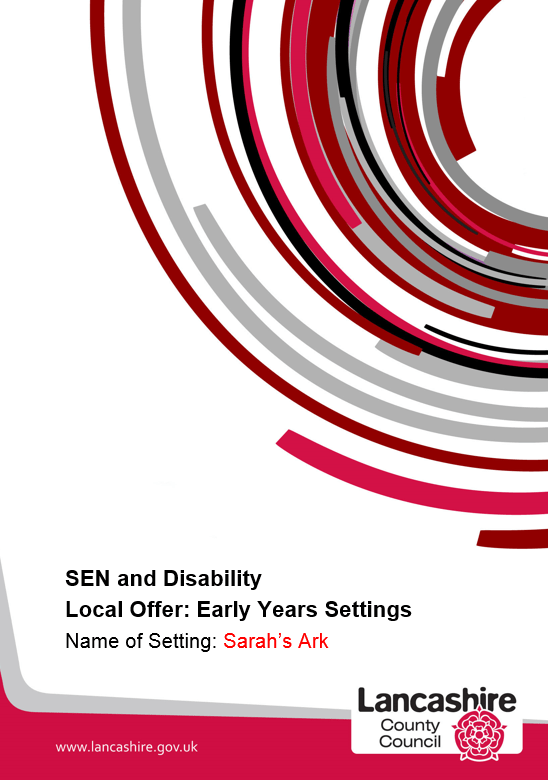 Does the settings specialise in meeting the needs of children with a particular type of SEN? What the setting providesWe are a family run business that has been open for nearly 10 years. We are situated on the outskirts of Leyland next to Leyland golf club and are close to the motorways links. We can care for 34 children that are split into 3 age groups. We employ 9 staff of whom 7 are qualified to level 3 the manager is qualified to level 5, we also have an apprentice that has completed her level 2 and is now on her way to completing her level 3, we have a deputy and also a supervisor in the setting. We are a small nursery and pride ourselves in having a low staff turnover and that all our staff know all our families very well. We operate a keyworker system within all of the rooms to ensure consistency of care for the children. All children will also have individual learning journeys, which are kept up to date by the keyworker staff on your child’s development; these are available to see in your child’s classroom upon request. As well as this we also have a SENCo (special educational needs co-ordinator), Pico (parental involvement co-ordinator), and ENCo (equality named co-coordinator) and a behaviour management co-ordinator. 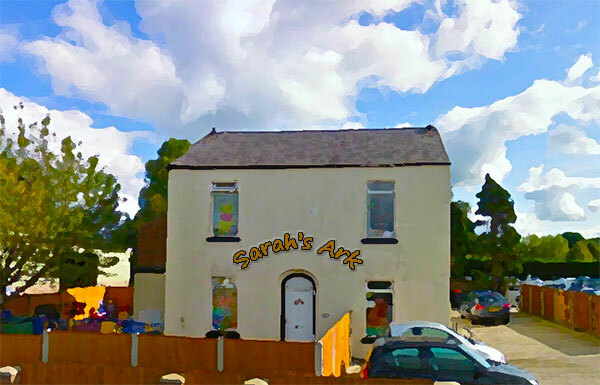 What the setting providesWe are a 2 storey building, with our 0-2s downstairs and our 2-5’s situated on the 1st floor. We have an accessible car park at the side of the building and also the golf club car park which we are able to use if needed. We have ramps in and out of the building and all doors downstairs are accessible in a wheelchair. We have had experience with a parent in a wheelchair and are happy to make arrangements for children to be taken to and from the car if needed. All nursery information is on the ground floor in the entrance hall for all visitors to see, all information is sent home with new families to read through before they start at the nursery and can be made available in different font sizes and languages if needed. Parents are welcome to bring an interpreter with them if needed when speaking to staff. Reasonable adjustments can be made to the environment and provision that we offer. In the past we have moved furniture and resources around to accommodate individual needs and also added new areas such as a sensory area to our preschool room. We can use visual timetables where necessary and all resources and labelled for easy accessibility. We risk assess all our resources and provision taking into account children’s individual needs and development not just their ages. What the setting providesWe pride ourselves on our children’s learning journeys with observations and individual planning. We have an established key worker system that works very well in all our rooms, this enables all keyworkers to get to know their key children as best as they can to help with early identification and intervention. All staff are trained and aware of all the EYFS age bands so that they can make sure when they are tracking children’s progress they know if there are any gaps in their development. All staff are aware of the SEN policy and what to do if they have any concerns regarding a child’s development, similarly the parents are also told who they need to speak to if they had concerns regarding their child’s development. Parents can have formal and informal discussions with their child’s keyworker at any time if they had any concerns as well as at specific times like parent’s evenings or can arrange a meeting to suit them. We have a good working relationship with our inclusion teacher and the IDSS team who we can call/email for support and advice. If we or a parent had any concerns about a child we would seek permission from the parents to send a request for guidance from the inclusion teacher, we can also send in referrals to speech and language therapists if we felt it was needed. In the 1st instance we would discuss any concerns with the parents about what support they felt was needed for their child and we could also advise any support we felt could benefit them, no information would be shared without permission. We plan through children’s interests and observations what is needed for individual children. If a child needed additional support we would discuss these needs with the parents and what they felt was needed. We would then work with them to put a targeted learning plan in place. These are reviewed frequently to ensure the targets are achievable but challenging. If needed we can ask for additional funding or teacher time, if this was the case it would be discussed with our inclusion teacher and put to panel. All decisions would be made alongside parents and other professionals involved with the child/family. The inclusion teacher may also recommend a referral to another professional such as an educational psychologist. This would be discussed with parents prior to a request being made. For Children whose learning needs are severe, complex and lifelong the professionals may recommend an application for an Education, Health and Care Plan for your child. What the setting providesWe have a curriculum within nursery called the EYFS framework (Early Years Foundation Stage). This is to support us meeting children’s needs and helping them to develop. It has 7 areas of learning and development, helps us to track your child’s progress, it also helps us to plan activities to help your child learn and develop. You can find further information on this at www.foundationyears.org.uk. We also have a notice board in nursery that explains how it works. All our rooms are set out as in section 1, in each room there are areas of continuous provision that are available at all times these areas are then enhanced depending on the children’s interests and any observations that have been done. We do learning journeys for every child these are done by each child’s keyworker and in these are observations, significant comments and photographs. These are also linked to the EYFS and parents can add to their child’s leaning journey at any time and can also have a look at any time. In the learning journeys we also have the tracking sheets which we can do baseline assessments and also termly assessments. We hold parents evenings twice a year and also have meetings to discuss the 2 year progress check, we are also happy to make ourselves available to discuss your child’s progress at any time. We have a key person policy as stated in section 1. All children are treated as individuals with inclusive practice in mind. Because all children have their own learning journey their key person can plan to enhance learning using observations and individual interests that will support development. Each key person will liaise all information to the SENCo and will work alongside them to set out any targeted learning plans along with the parents, as we are a small nursery all staff understand each child’s individual needs. Our setting has a provision map to highlight what we do as a setting for all children and those with additional needs. Children who do have additional needs have their own provision map. All children on wave 2/3 have a targeted learning plan to support their learning and development. This coincides with their observations and planning and also from any other professionals reports we may have had. All areas of provision can be enhanced to meet the needs of individual children. We work together with parents to set the targeted learning plans that are achievable at home and nursery so that there is consistency between the 2, we can send resources and learning packs home if needed. All parents are shown around the setting and take home a prospectus which explains what we do day to day and how we encourage the children to learn and develop. We encourage the parents to have a good understanding of the EYFS and we also have a notice board that explains how it works. All staff have a responsibility to educate parents and involve them in their children learning and development. It is the role of the SENCo and key person to liaise with parents and other professionals for children with specific additional needs. We can signpost parents to events and training offered by the local children’s centres. Children are observed in a free flowing environment which allows us to see their own likes and dislikes. They are encouraged to express themselves and are involved in planning i.e. if there was a particular activity they may want to do we can plan it for them. Children are encouraged to understand their feelings in all rooms and are encourage to do this by using the feelings boards. Children are encouraged daily to express their views on the provision and what they want to do each day and how they may want to enhance the areas, in the preschool room children are encouraged to take part in circle times to express their views and discuss with their key person and each other. What the setting providesWe have a large range of different resources throughout the setting to enable practitioners to provide a variety of activities to meet specific needs. Practitioners will provide resources for individual children which best meets their needs, funding for SEN is worked out termly and used for extra staffing time and if any resources are needed. We have a supply member of staff who is available to cover the key person to do extra work that may be needed for meetings or targeted learning time etc. We liaise very well with specialist services that may be required for a child with additional needs i.e. speech and language therapist. We work alongside other education and health professionals where needed and will always welcome them into the setting. What the setting providesWe liaise with parents on a daily basis on how their child id doing, we also have set parents evenings where they can have a look at their files and discuss progress with keyworkers. Parents are encouraged to look at their child’s learning journey whenever they want to. If they have specific concerns then we can arrange a private meeting to discuss this. We do tracking for all children and this is then put onto the LCC pupil trackers so we can identify where all children are up to and any areas we may need to be developed. Key persons and the manager have regular meetings to discuss child development. All staff explain to parents regularly about the EYFS and can discuss their child’s progress and where they can expect their child to be. Each room has a notice board where parents can add information about what their child has been doing at home this will then be used for planning and put in their learning journey. We also have scrap books and update sheets that get sent home regularly, all 0-3’s have daily diaries. Parents are given questionnaires on a regular basis so that we can gain feedback and ensure we are meeting their needs and also improving the service we provide. What the setting providesWe provide new families with a free 2hr session so that they can meet their keyworker and discuss routines and individual needs. We ask them to fill in all paperwork and an ‘All about me’ booklet which then is used by the key worker to start their learning journey. When a child is moving into the next room we send home a different All about me so that this can inform the new keyworker about their child. Children will also have induction days in the next room, we take into account each children’s individual needs and how many days they may need. If they are leaving to start school or another setting we will liaise with the new setting about what information they want from us, we will do lots of activities with the child about moving on to a new setting. If there here additional needs then we would ensure all this is in place before the child commenced a place. The child’s learning journey will be passed onto the parents to share with the new setting as appropriate, the new setting are welcome to attend our setting at any time. We would liaise with new settings concerning any arrangements that we have in place for individual children that they may also need. What the setting providesAll staff are level 3 qualified in care and education and some staff have had experience of working with children with SEN. Staff are always encouraged to develop their knowledge through extra training. The manager holds a level 5 qualification and is also the SENCo. Staff can access additional training where needed.